Enjoy peaceful island living with a waterfront home on the Lake Champlain Islands. The area is home to some of the most beautiful beaches in the state of Vermont. 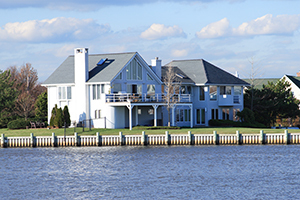 Some popular features of waterfront properties include private docks, access to trails and bike paths, private beaches, and more. Get ready to sit back and relax on your shoreline patio with breathtaking views of the lake. Whether you are looking for a waterfront home in Alburgh, Grand Isle, South Hero or another town, Coldwell Banker Islands Realty can help find the best waterfront property for your needs. Browse waterfront homes for sale on the Lake Champlain Islands below. See a home you love? Contact us with questions or to schedule a showing. Didn't find the home of your dreams? Create an account to receive email notifications when similar properties come on the market.